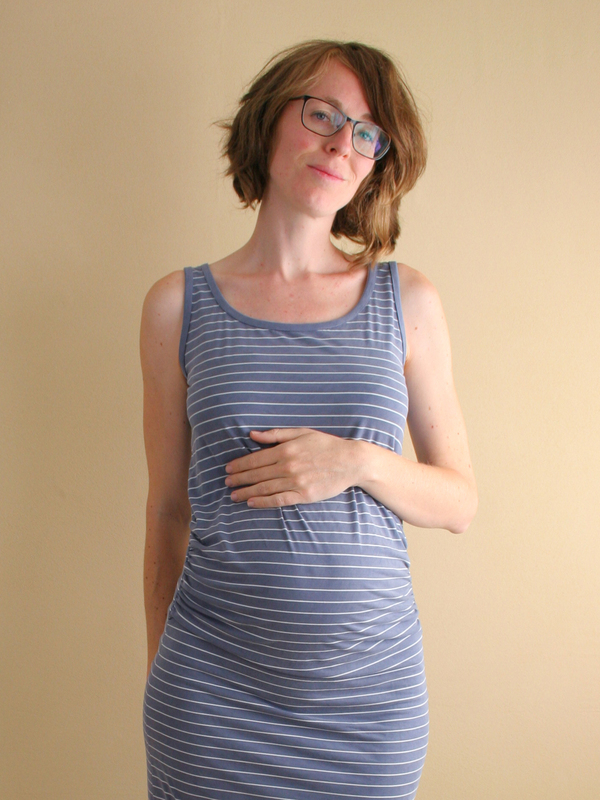 In the last few weeks of your pregnancy, you might not feel inclined to sew for yourself anymore. Instead, you’re getting distracted by teeny tiny baby rompers, shirts and pants, and you probably have an idea of how you want to dress your baby. Will he or she be the trendiest babe on the block or are you opting for timeless hand-me-downs? Will your girl wear only pink and floral dresses or will your babe wear all gender-neutral clothes? The same advantages apply here as with sewing for yourself: when you sew their wardrobe, you’re in full control of their look. Especially when you like to be on trend (and can fit baby clothes out of scraps of fabric! ), sewing can save you lots of money. And if you have specific ideas about colors, you won’t have to depend on the baby shower gift your neighbor who insists that a girl should not wear blue. 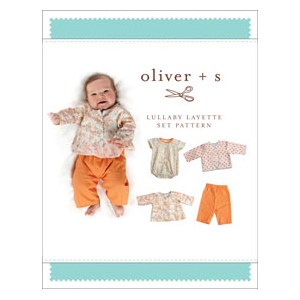 A layette set is a great place to start, because it includes a few patterns that together create a whole outfit. This makes it easier to create a wardrobe with fabrics that coordinate. 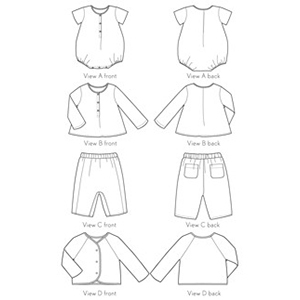 A layette set usually consists of at least pants and a top, and then maybe some accessories or undergarments. Below we’ve listed a few to get you started. The Electron Layette by Tuesday Stitches set is a current take on a baby layette – modern, full of personality, and gender-neutral. 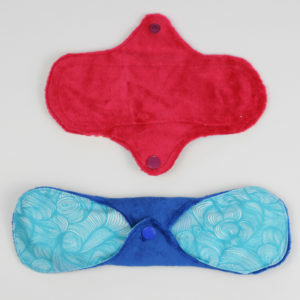 Drop-crotch (or harem) pants easily fit over both disposable and cloth diapers. The cardigan sweatshirt has little pockets for little hands (or just a little decoration) and makes an outer layer that’s easy to pair with any outfit. The knotted hat adds just a bit more warmth and attitude. The drool bib can be made out of knit or woven fabrics with an optional waterproof layer for an accessory that is both stylish and functional. Drafted for knits, but the bib can also be made with a woven. Sizes from newborn up to 2 years. The Lullaby Layette Set from Oliver + S includes four pieces that work together perfectly to create a darling wardrobe for little ones up to 24 months. 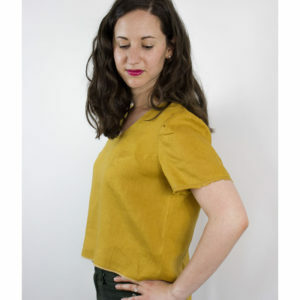 It includes a bodysuit and shirt with a snap placket, and short or long sleeves. The elasticized pull-on pants have a roomy fit and are quick to sew. And the reversible jacket features raglan sleeves and a snap closure. Drafted for wovens, but can also be made with knits. The Modern Layette Set from Green Bee Patterns includes no less than 8 pieces: a romper in short or long with short or long sleeves, a top with short or long sleeves, a kimono top for ease in dressing baby, little diaper cover, little pants, a knit hat, a bib, and blanket. It includes sizes 0-3 months only. 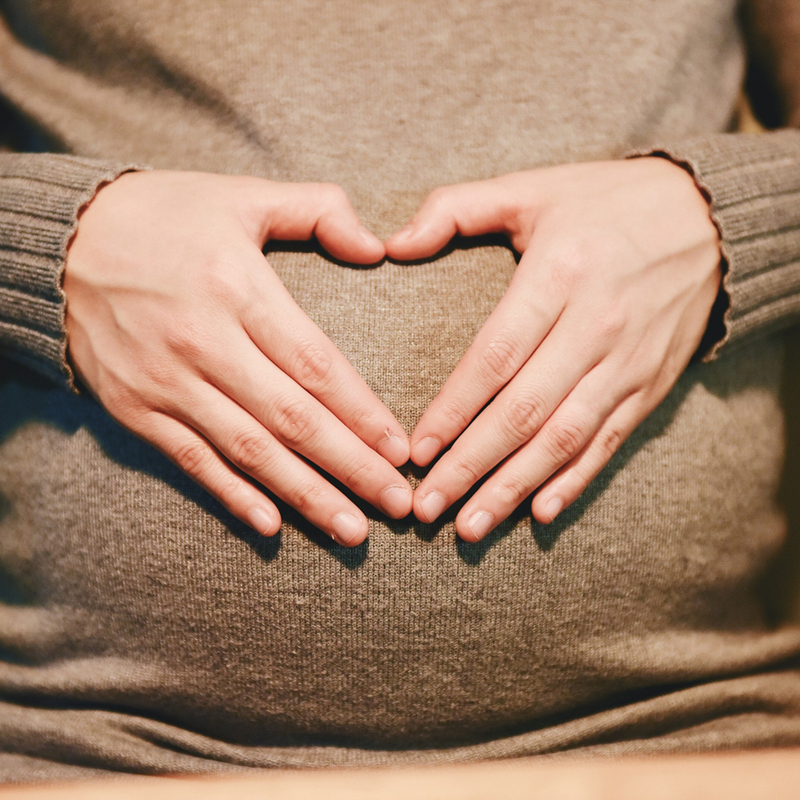 Are you planning on sewing for your babe or is their wardrobe already crammed full enough? Do you have another layette pattern you’d love to suggest?